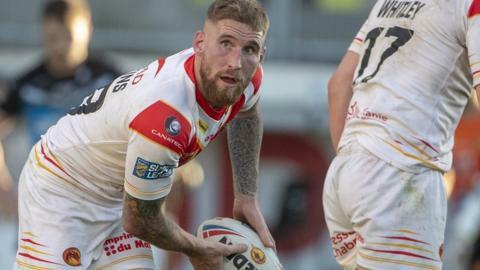 Catalans Dragons run in six tries in a dominant Super League display against London Broncos at the Trailfinders Sports Ground. Halifax upset Super League side London Broncos as they run in four tries to reach the sixth round of the Challenge Cup. London Broncos' Alex Walker scores a "magnificent" try against Huddersfield for the Super League Show's try of the week. Six into four will not go - Dave Woods assesses the scramble for Super League spots in 2019 via the Qualifiers. Former players Martin Offiah and Steele Retchless say a second Challenge Cup final spot would boost London Broncos. London Broncos chief exec Gus Mackay has warned the RFL must be cautious over the proposed restructuring of the game. Is the future of rugby league a 5ft 7in Londoner? Read more on Is the future of rugby league a 5ft 7in Londoner?